Courtesy of Mel Knott of Re/Max Professionals. Probably a most desirable top floor plan and corner unit with a great view from 2 balconies. You can follow the sunshine. The Private attached garage is one of only 3 units with an extra 10.6 x 11.9 work shop/storage area, included plus an extra convenient surface parking stall. 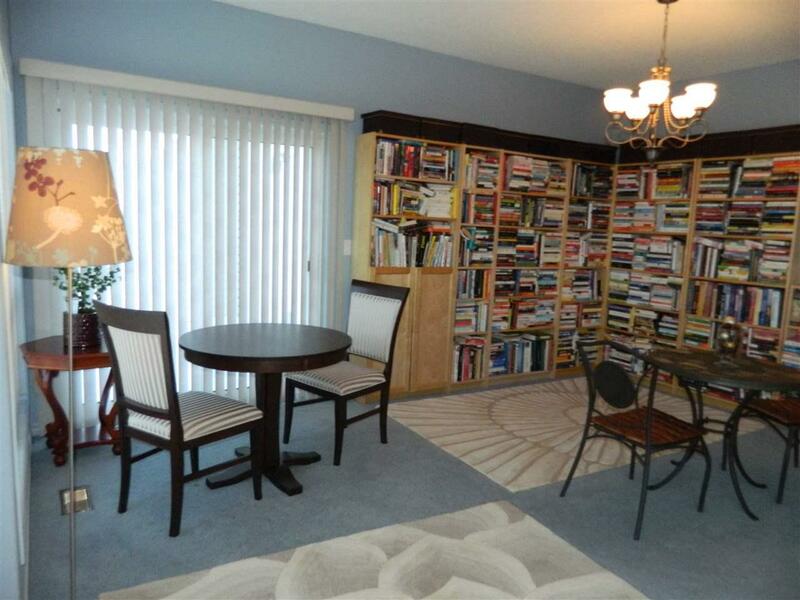 This unique corner condo unit has 2 spacious bedrooms and 2 baths. Also because of being on the top floor, the open great room offers 9 ft. ceiling. The kitchen has had some upgrading. 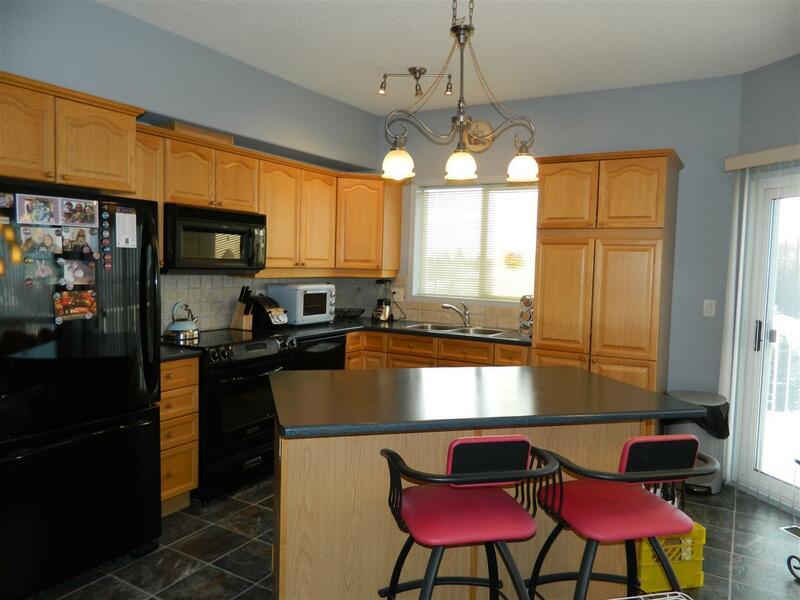 You will appreciate the islands extra counter space and pantry. A decorative stone fireplace ads a nice charm. The master suite includes a spacious walk in shower en-suite plus a private 8.1 x 8.3 attached den. This complex offers a private guest suite, Gym, and social room. 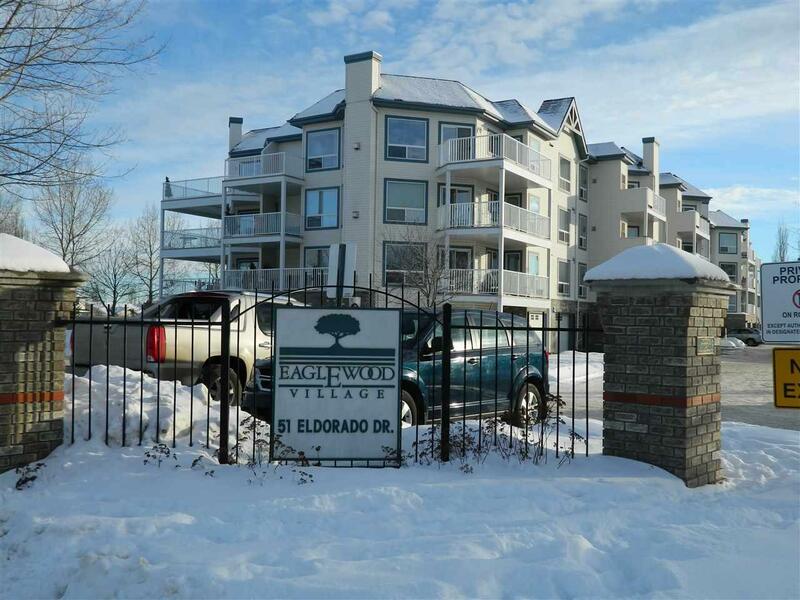 And is situated in Erin Ridge, and only steps to walking trails and ravines. 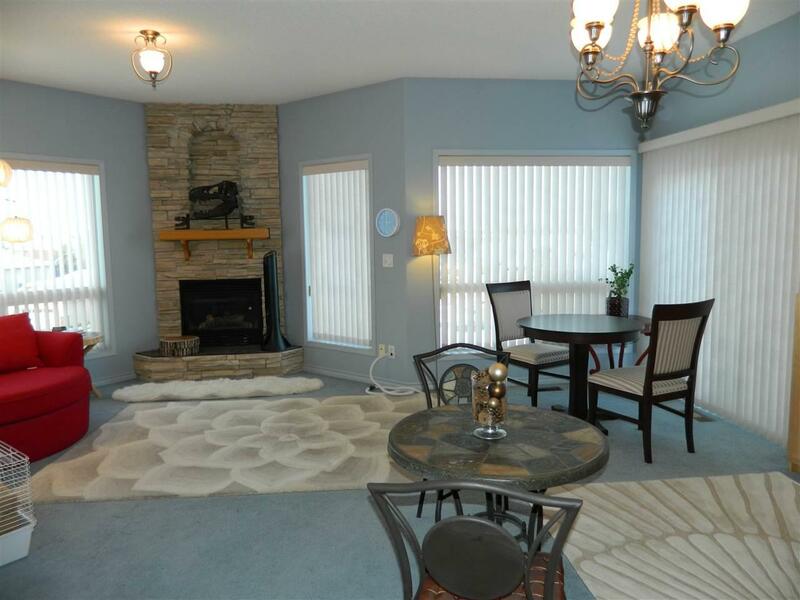 Very proactive condo board, and is beautifully maintained. A rare opportunity is available.